To celebrate Advent means being able to wait. I love the weaving technique she used and how it adds such a fun touch to this layout. Here is my layout, with just a touch of weaving, but love the dimension it adds. If you are looking for inspiration, just browse the POTP Gallery and look for little details and see if you can incorporate them into your pages. Have fun and thanks Cyndi for sharing your pages with us. Looking for an interesting way to bring focus to your title? Why not add a frame? This frame is actually garbage...it's packaging from a Crate Paper kit. If you have trouble finding a frame large enough to enclose your title, stamp a frame image onto white paper, scan it, then re-size the image in Photoshop or Word. Print your frame onto coloured cardstock or patterned paper and cut it out! it is a better thing to be beloved of many friends. 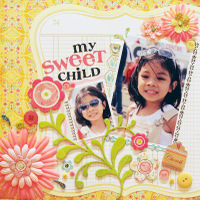 As I was browsing through the gallery, I couldn't help but fall in love with this lovely layout entitled "My Sweet Child" created by Theresa (kiwicanuck). I was completely drawn to the feminine, floral designs and colours. I loved all the little details such as the layered flowers, the tag and buttons. Here is a layout I created over the weekend inspired by Theresa's layout. I loved her layout so much, I scraplifted the title too. LOL! If you're needing some inspiration, be sure to check out the Gallery! You'll be sure to find amazing projects posted there. Happy scrapping! We have some great classes lined up for you at POTP. All classes have limited seating so please reserve your spot by dropping by the store or calling the store at 604-520-5874. Payment will be required to guarantee your spot. If you have any questions, please call or e-mail us at info@pickofthepatch.com. Completed projects may not be exactly as shown. 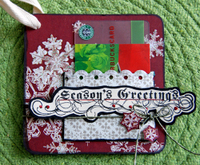 Come join Rae, cardmaker extraordinaire, and create four beautiful Christmas cards. 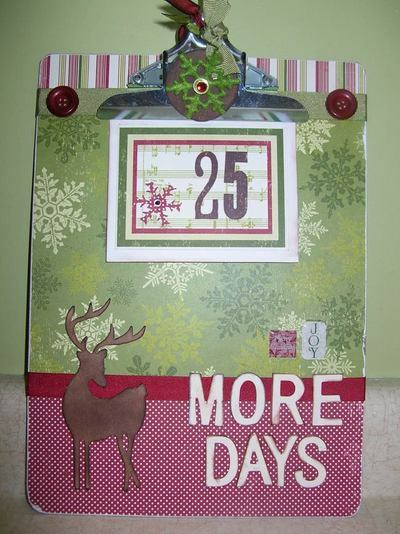 Pam has created a wonderful way to count down the days until Christmas. Come prepared to cut, paste, ink and have fun! 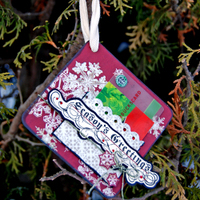 Jo and Sandra will show you how to take a Jenni Bowlin circle mini album and transform it into an amazing ornament that will record your family's Christmas Wishes for 2008. 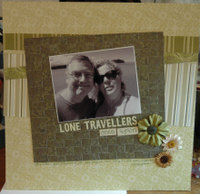 Pam will walk you through the steps to complete this album kit created by Teresa Collins using her Christmas line. You'll be using the Zutter Bind-It-All in this class to bind your album. This past week I have been getting to know my new class of Grade 2’s and 3’s. They are quite the energetic bunch. I thought maybe I can channel their energy into their hands and see how creative they are. WOW, was I impressed. Not only are they crafty...they are good at it. 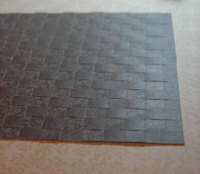 The first project we worked on was a weaving with paper for a back ground to shillohette halloween figures. This got me really thinking....why can’t I incorporate weaving with paper that we do in grade school onto a scrapbook page. So I did. I chose two green on green monotone papers and cut them into ½” strips. Using these I wove a background paper to matt my central photo. I love how the effect turned out. Make weaving or any craft that you do beyond scrapbooking an inspiration to your next page and channel all that energy. Can you believe it's only 40 days until Christmas???!!! Christmas time is always an extremely busy time of year with school and church performances, potlucks, and Christmas parties. Not to mention braving the shopping malls and parking lots. More often than not, I'm finding Gift Cards to be the way to go. Not only are they easy to find (there's even a great selection at the grocery store! ), but they are usually well-appreciated by the recipient. For this week's Flowering Friday Challenge, I challenge you to create a gift card holder and get a head start on your holiday projects! Here's one that I made. It can either be hung as an ornament on a Christmas tree, or around the neck of a bottle of wine. I look forward to seeing your projects in the gallery! Hi everyone! 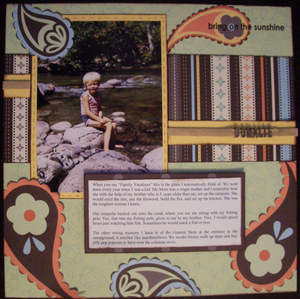 This week's Gallery Pick of the Week goes to ScrappeeDiane for her layout entitled "Bring On the Sunshine". Everything about this layout is beautiful! From the pretty paisley patterns, rich earthy colours, the sweet photo and her heartfelt journaling, this layout is wonderful way to celebrate those fun childhood memories. Well done ScrappeeDiane and thanks so much for sharing your projects!